Let’s clear up a few things because one of my first articles ever on Fratellowatches, was about the modern classic Rolex Submariner 14060M. I made the claim that it was essentially a perfectly designed watch due to its excellent dial symmetry, but also because it lacked that odd protrusion of a feature: the Cyclops. I also made it very clear that there are only 2 types of Subs: the Submariner and the Submariner Date. There is no such thing as a Submariner “No Date” – that’s just silly. So, it shouldn’t surprise you that it was actually a struggle to pull the trigger when a very honest Rolex Red Submariner came up for sale some five years ago for a very reasonable price. But…the head lurched in front of the heart and made the decision because, if nothing else, a well bought vintage sports Rolex is a sound investment. 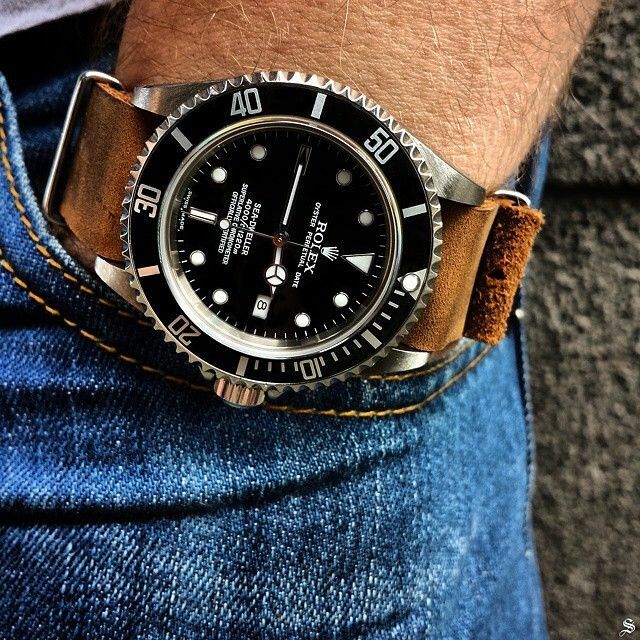 I had just moved to Germany five years back when my Dad shot me a note stating that a Canadian jeweler outside of Toronto had received a Rolex Red Submariner in on trade and had put it up for sale for around $5,000 Canadian. (This dealer also had a lovely 1675 that neither of us jumped on – ugh). I hemmed and hawed a little, but, admittedly, there was also a little voice inside of me that became really excited because, honestly, I never thought I’d be able to find an affordable vintage sports Rolex again. Taking a closer look at some details on the Rolex Red Submariner, you’re met with some really cool features that just don’t exist in today’s Subs. I’ve been critical of modern Subs for being too modular and blocky looking. I hope you’ll like these macros because I think it shows off some of the best details within this beauty. Let’s start with that bi-directional bezel. Rolex Oyster Perpetual Datejust Edition of Everose Gold Specials.